The Grey Barn is an experienced landscape contractor that offers commercial landscape installation to companies of all sizes and industries throughout Northwest Arkansas. We install original landscaping and irrigation systems as well as repair existing landscaping including extensive irrigation repair. 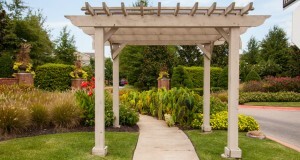 We offer commercial landscape installation services that are second to none. Our experienced staff works with property owners and contractors alike in either a design-build capacity or a bid-build capacity. What does that mean? Design-Build is a method where The Grey Barn utilizes our landscaping design expertise to design the appropriate landscaping plan including landscaping plants, an irrigation system and landscape lighting. We then provide a price quote for our landscape design and perform the full commercial landscaping installation. This is a full-service method that keeps the experts involved from start to finish. Bid-Build is a method where an architect or landscape architect creates the design then The Grey Barn bids on the project and performs the installation according to plan documents. sustainable commercial landscaping plan always includes an irrigation plan. Irrigation protects the landscaping investment by both providing enough water where it is needed and removing water where less is needed. This is done through methods such as sprinkler systems and drainage. Are you a property owner who needs a commercial landscape plan designed then built? Or perhaps you’re a contractor who has a landscape architect on staff but needs a landscape contractor to bring that design to life. Call The Grey Barn so we can discuss your project. 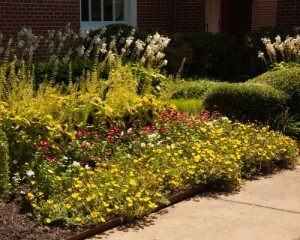 We also provide impeccable commercial landscape maintenance to meet your organization’s needs. Take a look at some of our work!